Daisy’s Search for Freedom by Bertha Schwartz is a wonderful book about the Underground Railroad for young readers. 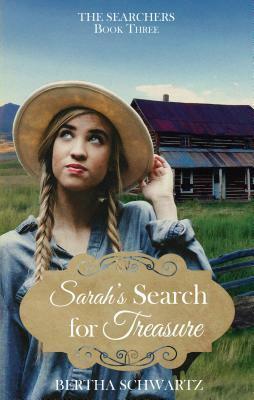 It is the first book in The Searchers series and is a great start. Set in the 1850’s, young Daisy is a slave at the Six Oaks Plantation. She is the personal slave for the daughter of the owner, who is a spoiled and vindictive young woman. When Daisy meets the new cook, she is surprised and excited to see it is her mama. The family was separated years earlier and she had not seen her mama in many years. Her mama lets her know that it is dangerous to let anyone know that they are mother and daughter, so Daisy just calls her Cook, like everyone else does. When Daisy accompanies her young mistress on a family outing to town, she ends up in the crosshairs for a nasty, slave hunter. Having to hide from him, she angers her young mistress, thus putting herself in danger. Being one of a few slaves who knew how to read, a crime, Daisy becomes part of a network of people passing notes with hidden messages. Little does she know that the notes are part of the Underground Railroad. When her turn to escape comes, she hesitantly leaves and is put in charge of a young boy who will accompany her. Thus begins Daisy’s trip on the Underground Railroad. There are some great discussion questions at the end of each chapter to extend knowledge for the reader. Readers can delve deeply into the hatred and ugliness of slavery, that is not fully included in the story. There are a lot of ups and downs in this story with danger around every corner. I love the inclusion of the small gray kitten that seems to be more coonhound than kitten. The author has made this a relatively tame story, but there is inclusion of information such as selling of families, hunger, beatings and slave hunters. While this novel was written for the middle-grades, I enjoyed reading about Daisy’s travels. I can’t imagine being a girl her age, and traveling by myself as well as being tasked with protecting a young boy. Daisy is very brave. 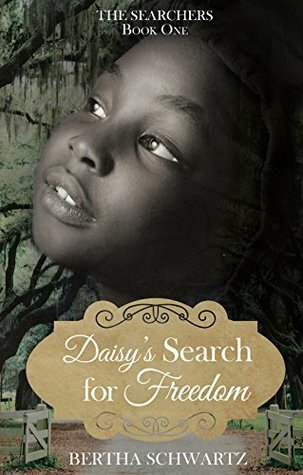 I recommend Daisy’s Search for Freedom to young readers learning about slavery and the Underground Railroad. There is a very Christian aspect to the story as Daisy prays a lot for protection and guidance, but that was what most of the slaves did at that time so it is very appropriate. I received a copy of this book from Just Reads Publicity in exchange for an honest review. The rating, ideas and opinions shared are my own. About the Author: Bertha Schwartz is a Swiss Amish transplant to the beautiful farmland of Nappanee, Indiana. She loves spending time with family and friends, including fifty-two nieces and nephews. Her hobbies include scrapbooking, sewing, and reading. Raised near the lovely Swiss city of Berne, Indiana, Swiss is her mother-language. Languages and different dialects are a special interest of hers. Thanks Becca, I am looking forward to reading the others in this series. Awesome review, Carla. I think this is a book middle schoolers would enjoy reading. The Underground Railroad holds a lot of interest for that age. Thanks Linda. I think it is a good one. It gives information but is not too gruesome. Nice review. I had some of the same thoughts as well these books being a way for middle schoolers to better understand history. I currently have three middle school age children and we have had discussions about history from books they have read. We live in North Alabama and my kids have ask questions about the civil rights movement and slavery before. It’s much easier to explain history by making it relatable. I’ve told my kids to imagine not have the freedom to choose to live with her family or no freedom basically at all and they better understand the evil that slavery was. 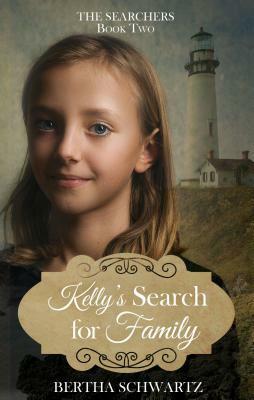 I’m definitely going to get my kids to try the Searchers series a try. Thank you. I think they would enjoy them very much. I have also read a couple of books by Christopher Paul Curtis you might want to check out for them. This sounds like an amazing series. i love historical fiction. Even though it is a middle grades book, I enjoyed it as an adult. I am looking forward to reading the other two in this series.